Our operators are fully trained to understand the difference between pressure versus flow and how to select the right nozzles for the job. Our team is trained to handle many different kinds of debris in a pipe, as well as different pipe materials. Being able to identify the difference between a concrete pipe and asbestos pipe can make all the difference in the world. One of the most effective methods for clearing pipelines of obstructions, like: grime, scaling, sediment, black powder buildup and other impediments is Flush Vacuum Cleaning. 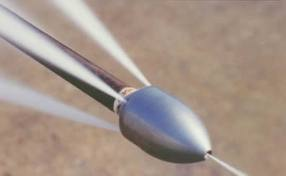 Flush Vacuum Cleaning involves the use of ultra-high pressure water and specially engineered jetting nozzles. This powerful combination of gallons per minute (GPM) and pressure per square inch (PSI) is critical to effectively blast away debris from pipe lines. Our Flush Vacuum Cleaning equipment is truck mounted and utilizes a force of 2500 PSI, at 80 gallons per minute, and an impressively powerful vacuum system to clean and remove all debris in the pipe.